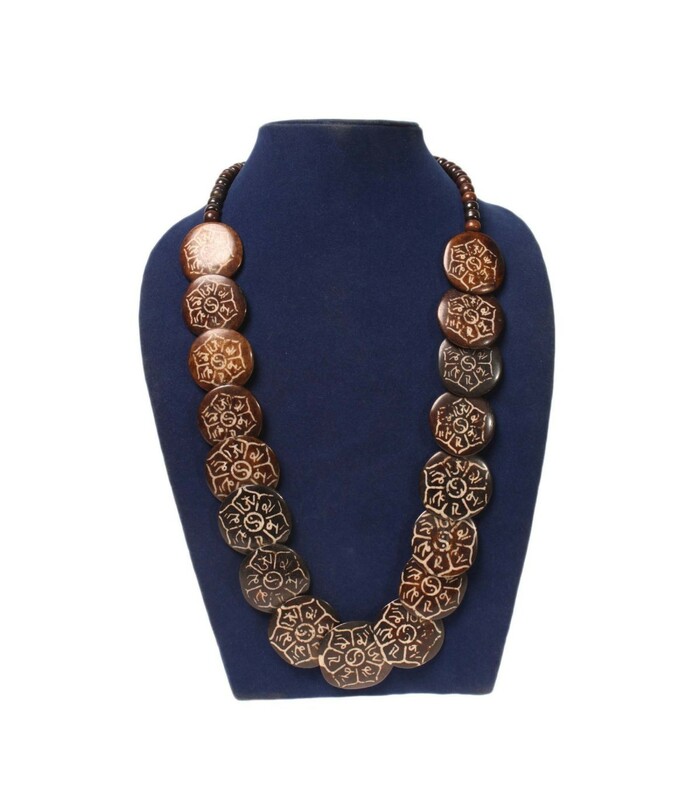 Ethnic hand-made Tibetan inspired necklace. 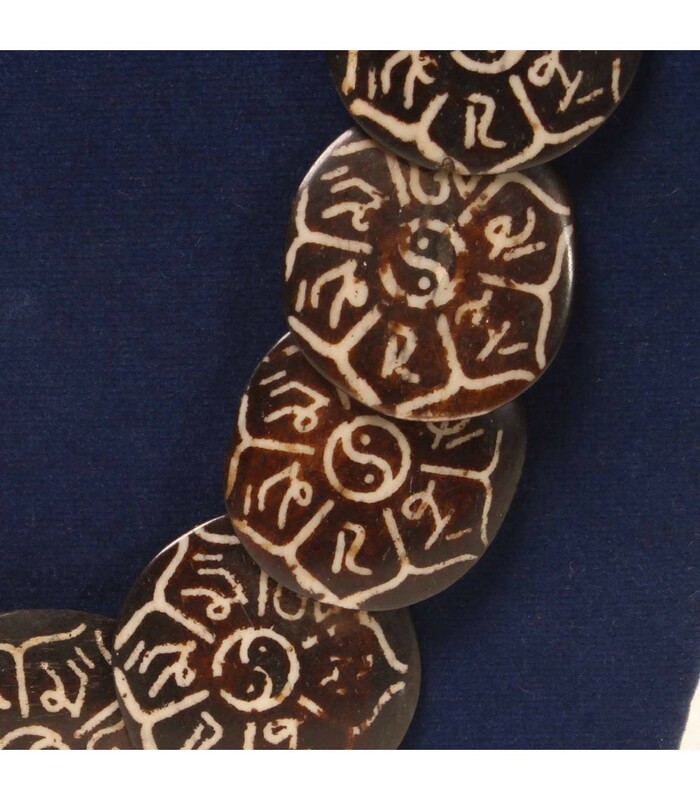 Mandala design is carved on each circular bone chips on both sides. 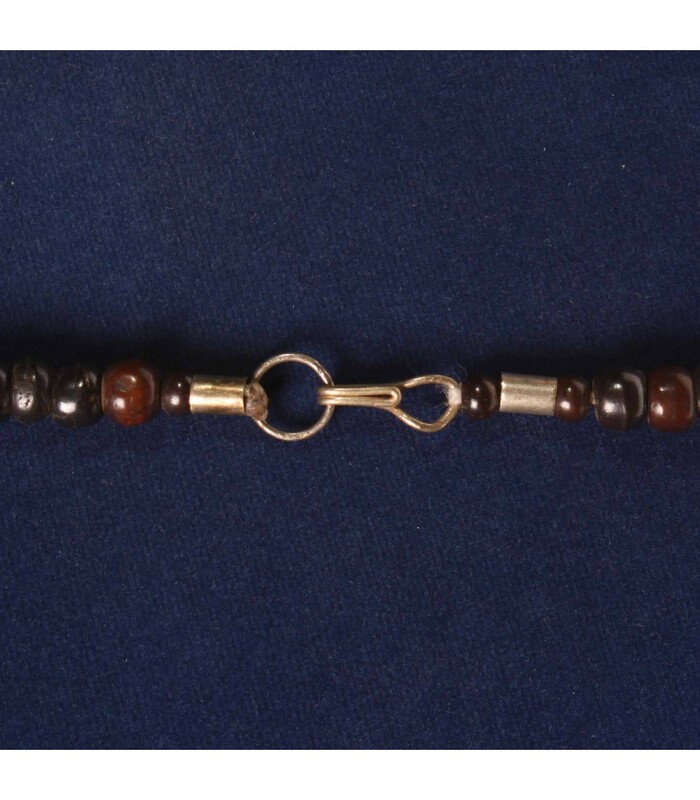 It is secured with hook and eye closure. Its length is 24 inches.